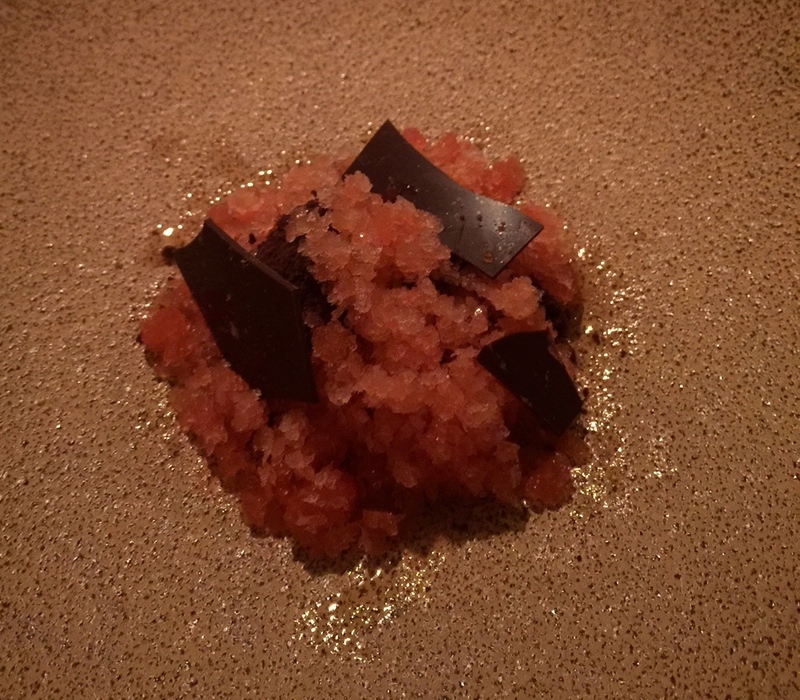 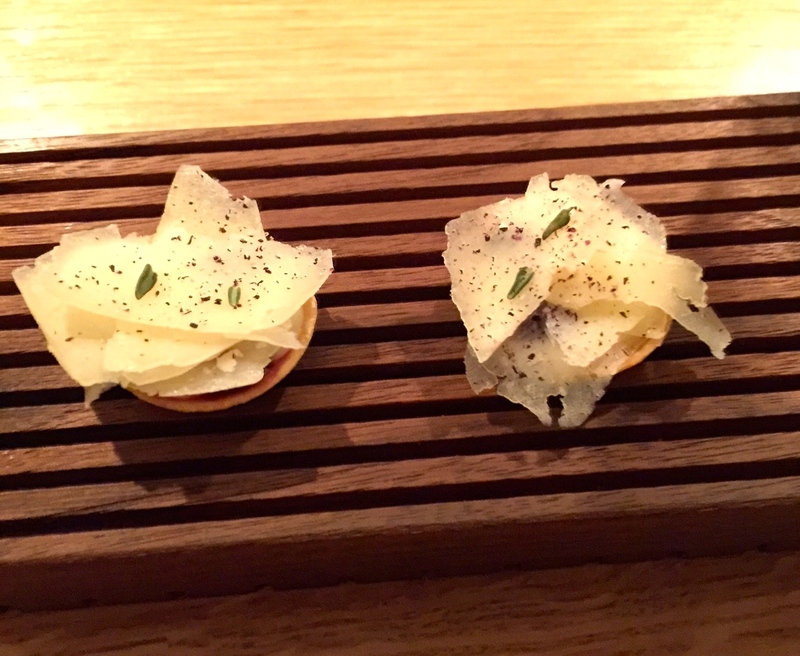 Roger and I celebrated our seventh anniversary of being together with an unforgettable dinner at Commis in Piedmont. 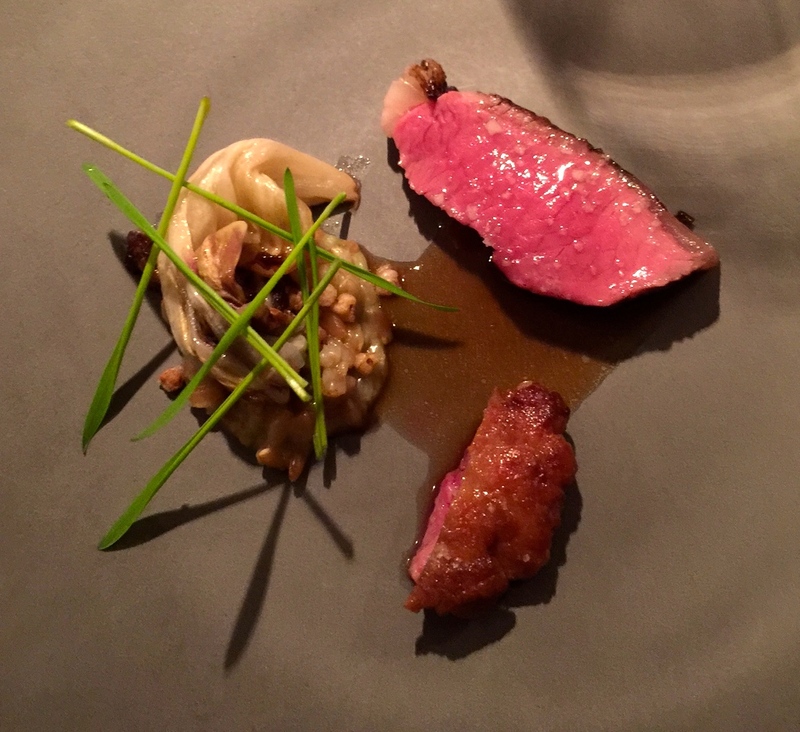 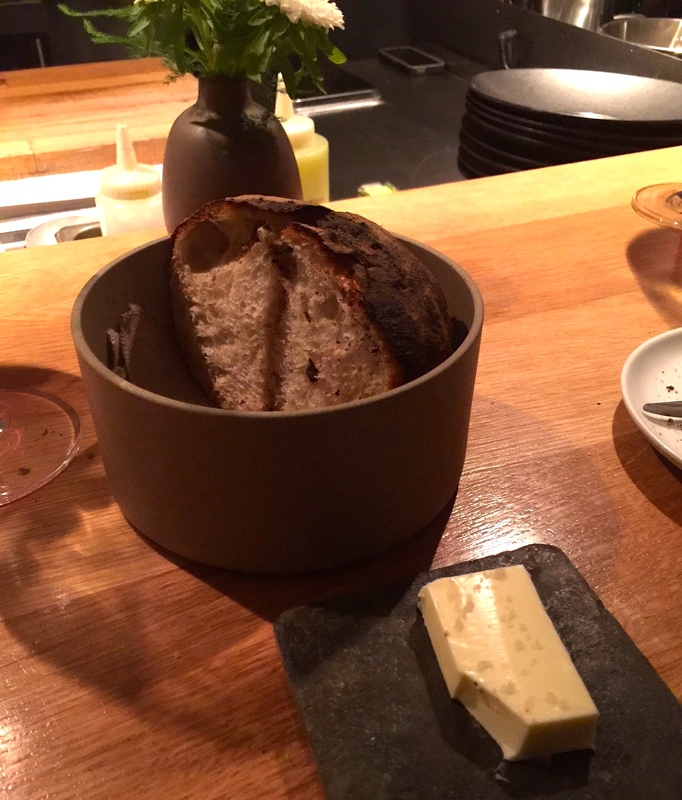 We have been hearing about this restaurant ever since we moved to Oakland and this was the perfect occasion to try this Michelin rated, seven course prix fixe menu and this was a dining experience like no other! 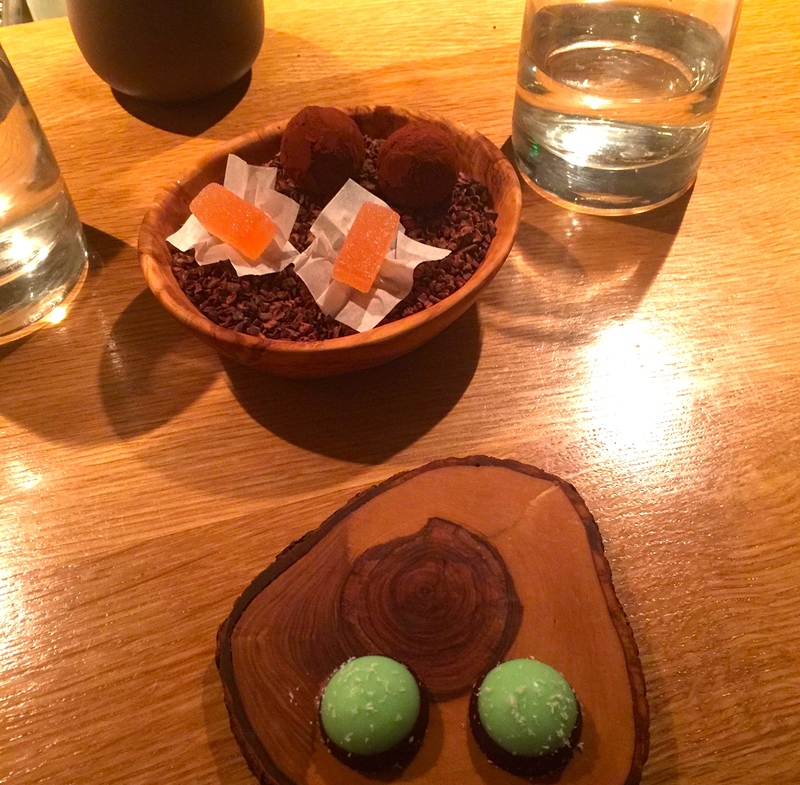 We were greeted by our server and he explained to us that the restaurant has a nightly tasting menu paired with wine selections to complement certain courses. 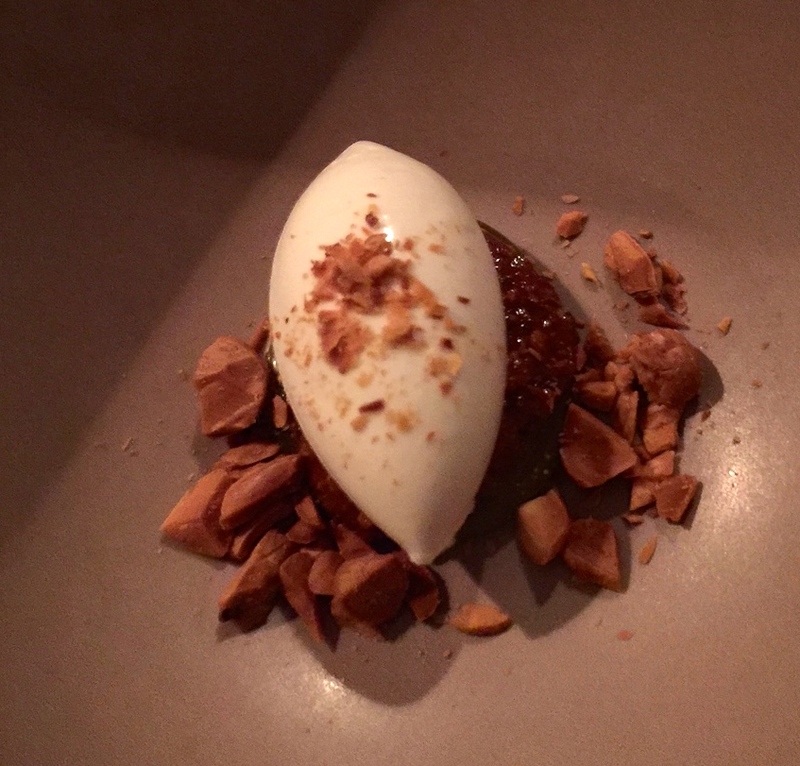 Each course was described when served and the meal service was seamless. 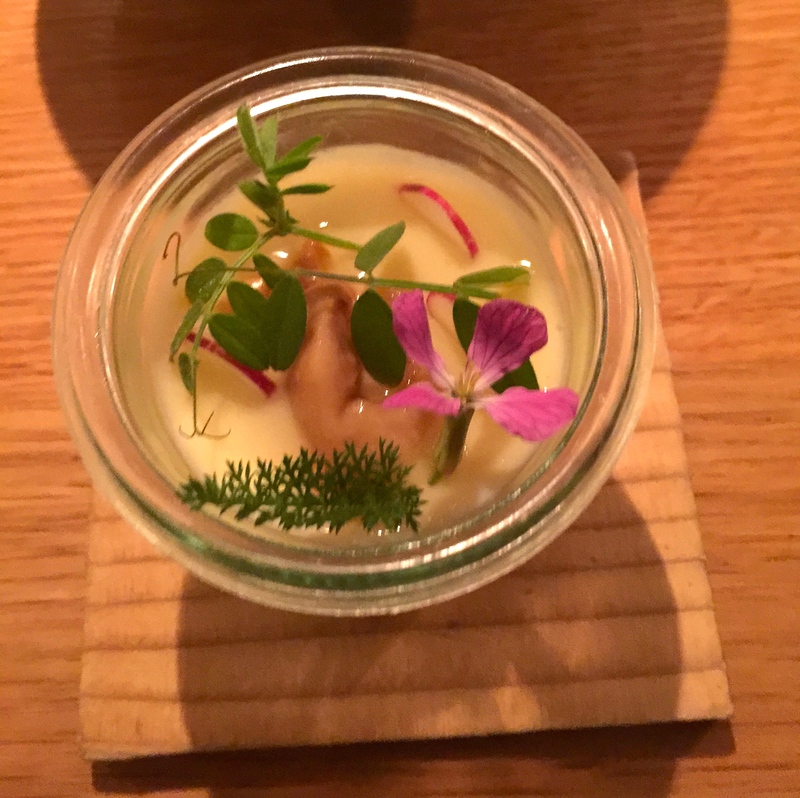 The head sommelier came over and introduced himself and came by throughout our meal to pour our wine pairings and give us the details and history of the wine. 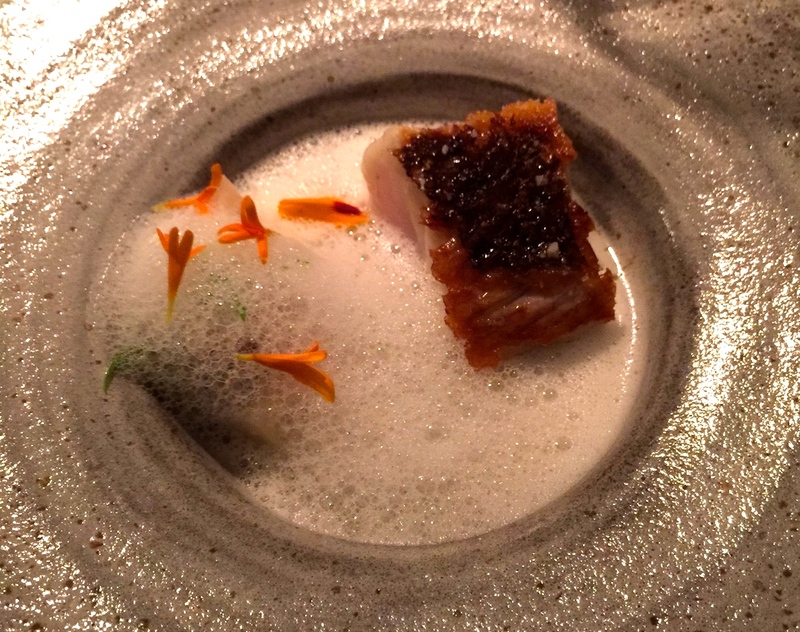 The food was inventive, delectable and otherworldly. 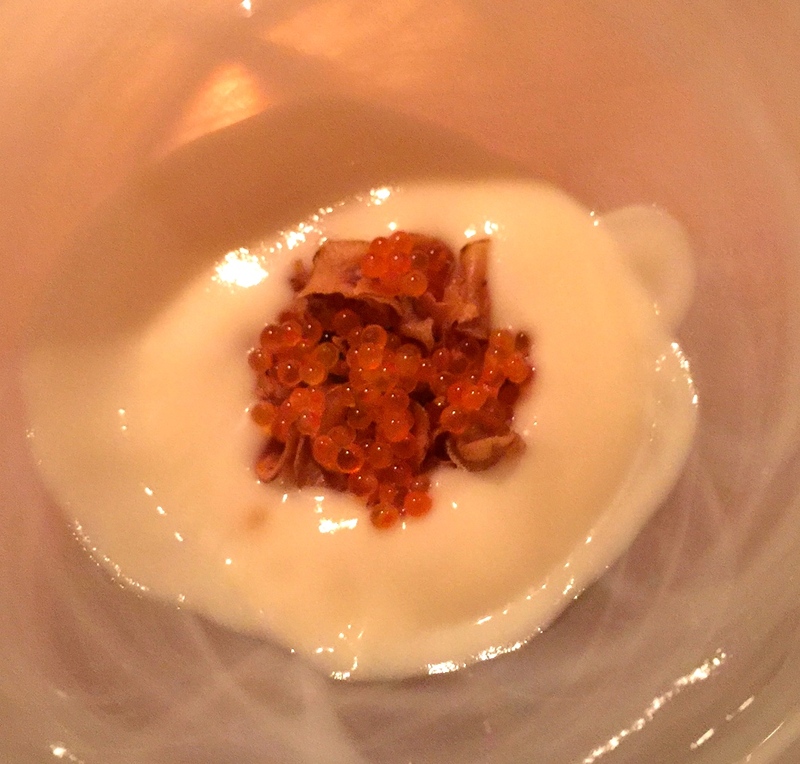 We sat at the chef’s counter which enabled us to watch these masters in action and made our mouths water. 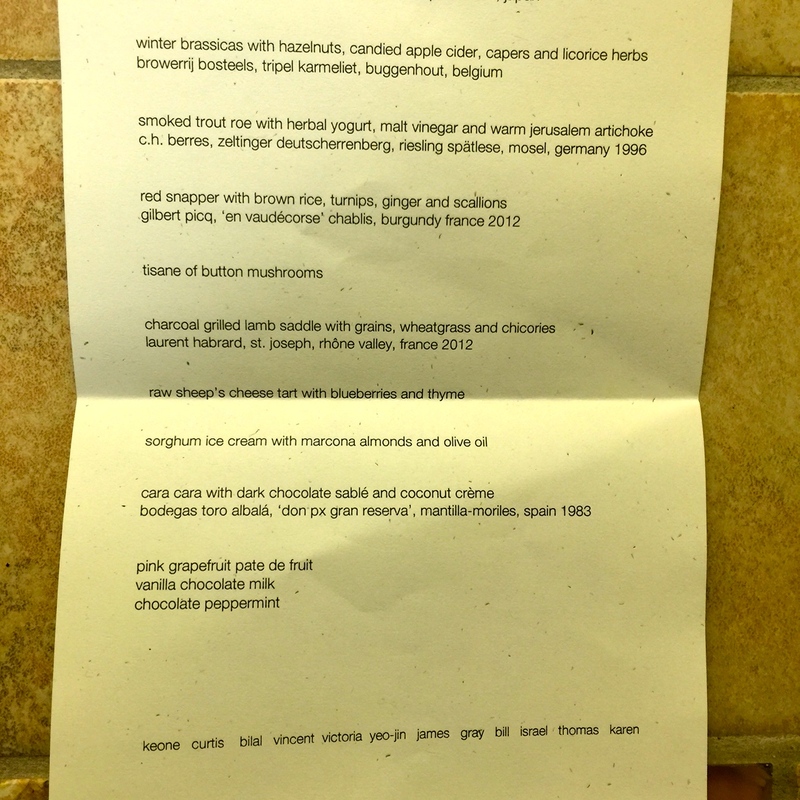 Here is my picture timeline of the meal with some details, ending with a copy of the menu for the night that they gave us to commemorate our amazing meal. 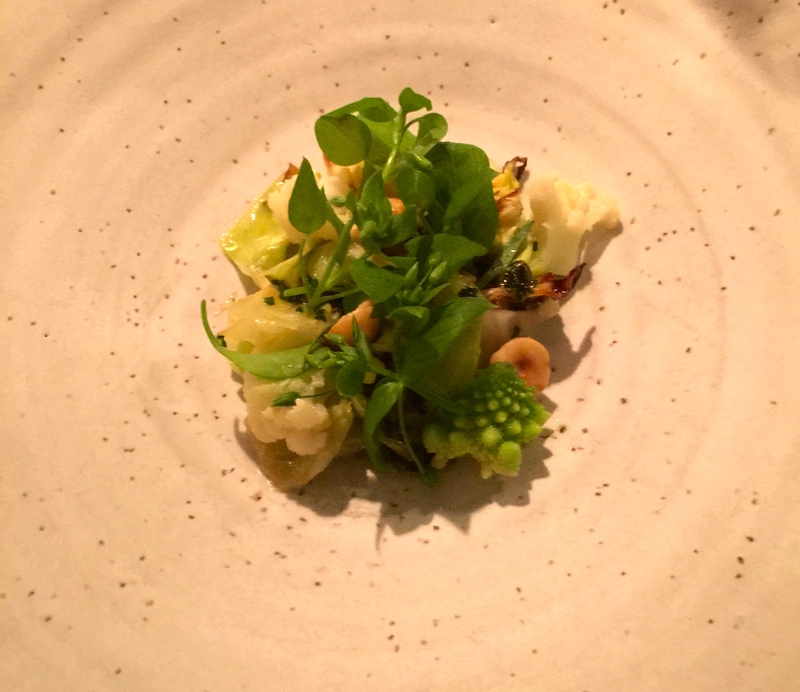 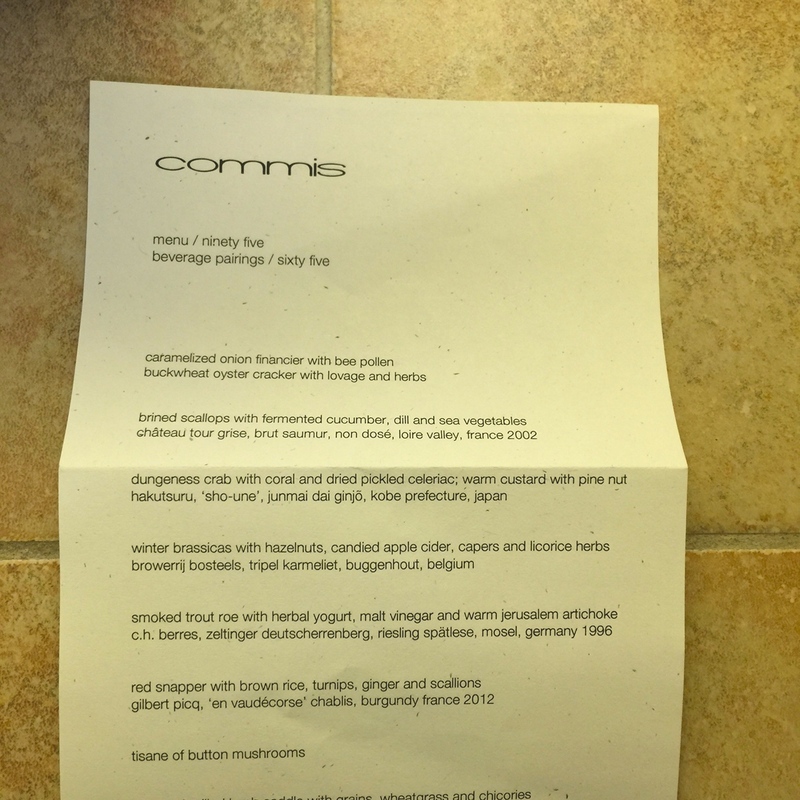 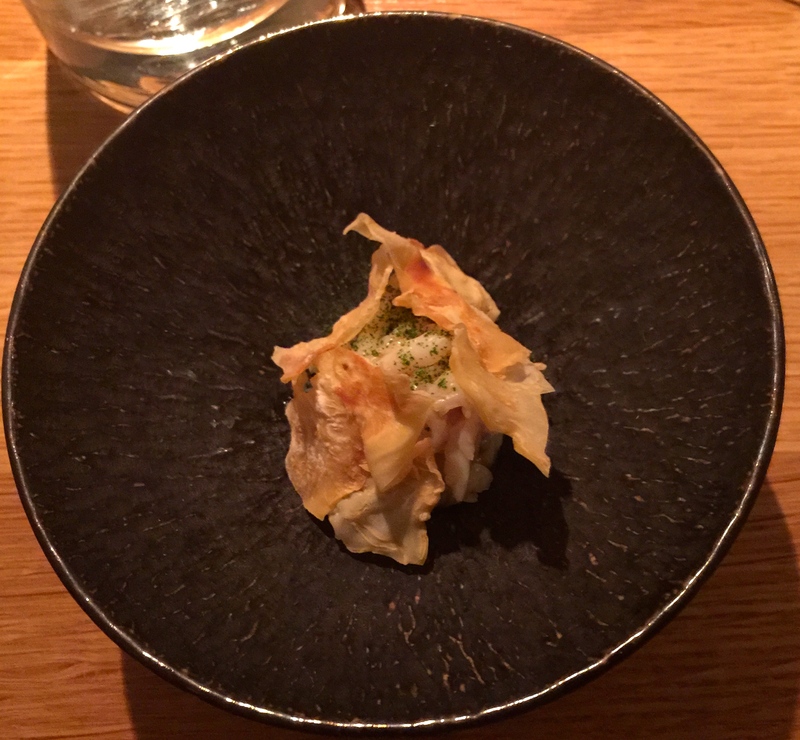 Commis was the best place to celebrate our anniversary and offers some of the best service I have ever had at a restaurant in the Bay Area.